Internships are unopened doors full of potential and opportunity awaiting both students and businesses. You may not even realize how valuable these students can be until they finish the program and are gone, though. These opportunities don’t just work for the students, but also bring the company and its team a fresh face full of energy, ideas and a desire to learn. Check out these five advantages to bringing students on board. Check out @Oleeo_’s 5 expert reasons why an #InternshipProgram could bring value to your business: Tweet This! Did you know Millennials will comprise 75% of America’s workforce by 2025? There is always a task to be done, or something you wish you had an extra set of hands for that your team just can’t seem to get to. What better way to solve this problem than with an intern? An internship program is also an inexpensive way to get another mind wrapped around a project to bring insight and allow your full-time employees to focus more time on priority tasks or projects. It can also alleviate pressure for your employees knowing they have extra help, which can lead to boosting your overall productivity rate. It’s important to not underestimate interns just because they are students. These individuals are there to work, learn and experience real world projects. Don’t be afraid to let them in on actual projects and get their hands dirty. Interns are outsiders looking in and they will be able to spot flaws and improvements faster than you might think. 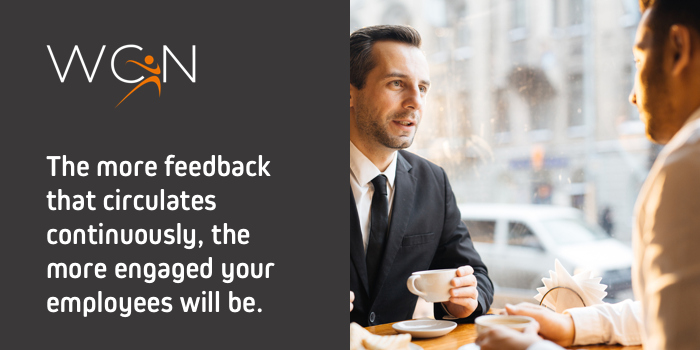 These individuals can give feedback to you, your team and the company in general and it’s important to listen and try to make some of the improvements suggested, or at least consider them, because they could be advancements to launch you ahead of your competition. Team members could very well be stuck in a “why fix it” mindset as they race through each day from task to task, but taking the time to listen to the perspective from someone just coming in could increase productivity or even make a process already in place more efficient. Did you know? Managers who received feedback on their strengths showed 8.9% greater profitability. When it comes to making a new entry-level hire, would you rather hire someone who’s never worked for your company, or a young professional who started as an intern and already knows the ins and outs of the organization? Many Fortune 500 companies retain over 80% of their interns as entry-level hires. An internship offers a test trial for both the employer and the intern. Both parties get a sense of fit for the company and you as the employer get to assess what the intern is able to bring to the table. By the end of the internship, you have the option to extend an employment offer or keep these interns in mind for future open positions. By doing so, your organization is able to save recruiting costs. #Millennials will comprise 75% of America’s workforce by 2025…so what does this mean for internships? Explore @Oleeo_’s 5 reasons:Tweet This! The benefits internship programs bring to a business are undeniable. Whether you have a small class of interns each summer or do a large rotation each season, it’s important to navigate your program to achieve all of these benefits. Simplifying the recruiting and management process of your interns with a software solution can help alleviate administrative burden so you’re able to achieve these benefits to an even greater extent. From the placement or rotational process to mid-summer reviews and beyond, our Oleeo Program Management product provides the support you need. Learn more by booking a demo today!